"Spirits of Christmas, unite! We need to save the tree from a huge fire hazard." 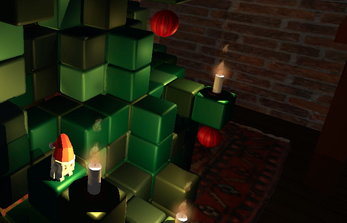 A small Christmas playground by @firepunchd & @bekokstover to play with your friends and family. 1-10 players, controllers required. 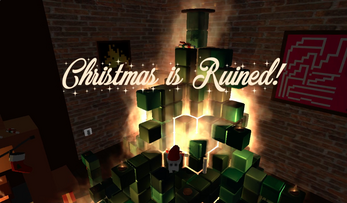 This game was created in roughly one day at the November 2016 Berlin Mini Jam, and first demoed at the A MAZE M4rk3t. We made some cosmetic changes afterwards. 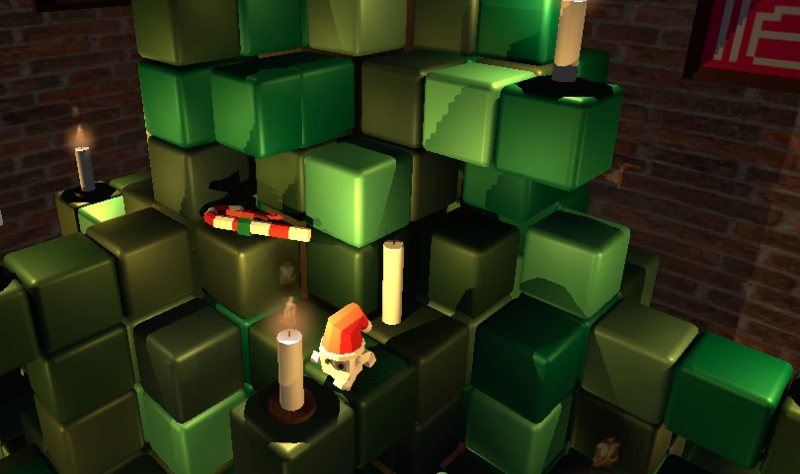 This was a short, but pleasant little game that takes 3D puzzle(ish) platforming and gives is a festive twist. I like that. The art and modeling was all well made, looking simple, but not plain, and the lighting effects were pretty nice as well. I'm really curious about the "1-10 players" thing though. Someone do that so I can see it in action. Good job on this and keep up the good work. If it can't or shouldn't happen in a game, you can always count on me to make it happen. 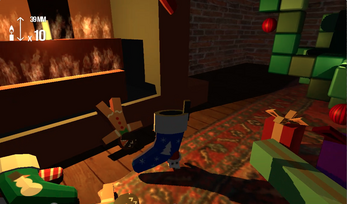 Another video, a fun game and thanks to the developer for stopping by to watch!